GRAND PRIZE WILL BE AWARDED TO 5 WINNERS IN THE AMOUNT OF $1,000 EACH! 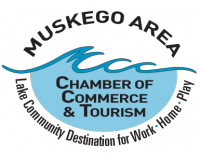 Enjoy a delicious sit-down dinner at Muskego Lakes Golf Club, including free beer, soda & Entertainment! Also featuring Reverse Bingo, Cash Raffles, Individual Raffle Boards, Silent Auction, Wheel barrow full of Booze and more! Mail the enclosed reservation form along with your $65 donation per person to the Muskego Lions and your ticket will be sent to you. You can even pick your lucky number, if available (between 1 & 250). Just mark your form accordingly and the Lions will try to accommodate. You can reserve a table for your group in advance. Just list the names of the people in your party on the enclosed Registration Form. A table for 8 is $520 and a table for 10 is $650. You will receive a confirmation table number in the mail along with your tickets. Bring a friend and double the fun! The Fortune 5000 Raffle (How It Works)is ideal for friends, groups, clubs, and business outings to have a fun night out together. Of course, individuals and couples are always welcome. ​Lions Clubs International continues to be the largest non-profit organization in the world. The Muskego Lions annually donates to many local, state, national, and international causes. If you have any questions about the Raffle or Lions, call Lion Jack Spoerl at 414/531-0920 or Lion Robb Kurudza at 414/610-0427.